My career began in High School , after school & weekends, being trained as a professional dog groomer, then went on to open my own Pet Grooming Salon, as a young adult. 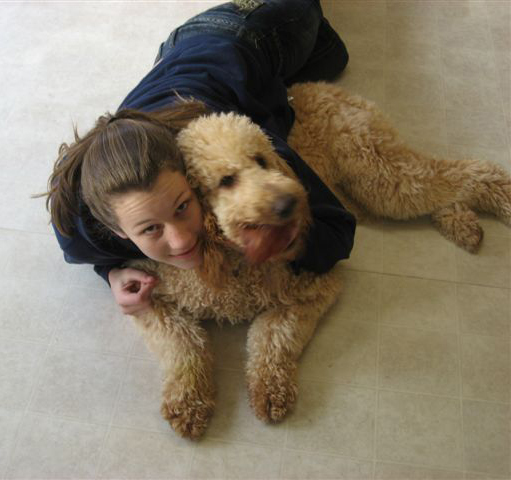 I am a true lover in the service of all animals and a quality breeder of doodles, and poodles. As the owner of Karla’s Pets, a Complete Pet Care Facility serving the Mt. Washington Valley of New Hampshire since the early 80’s I truly care about my customers and raising the best puppies for their families. It is my priority to match up my beautiful puppies and their temperaments with families that will love these dogs for many many years. My daughter Payton (pictured above) works at Karla’s Pet Rendezvous now. She shares the same love and kindness for all animals, like I do. She was raised with dogs in the family, and worked in the family pet business as a child growing up-so she knows all about what makes dogs healthy, happy and a wonderful addition to any family. 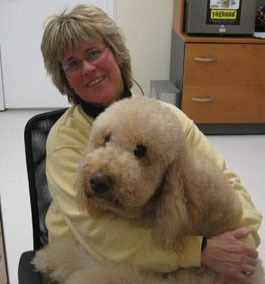 We work closely together to run the business with our wonderful Staff of true pet lovers! Payton is helping me with the day to day running of our Pet Resort in Conway NH that has been in business since the early 80’s.